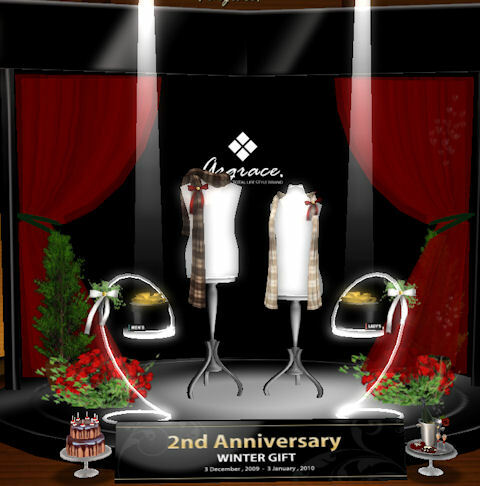 Argrace is celebrating their 2nd anniversary in SL…. and to treat the customers there is a scarfset available in 2 colours. Each gift box contains 3 different scarf styles. Shoes: gift at store w/group tag ‘Fabulously Free in SL’. Milla Michinaga of MichaMi recently sent out a new group gift to her subscribers, the new Ebba Tank and Scarf in purple. The top will only be available to the group until May 1st, 2009 when Milla will remove it, so get down to the shop when you can. This cute stole is new in the Lucky Board at IZUMIYA. It’s wrapped around the waist. If you like it, you can buy it in various colors for only 30L$ (3 colors in one pack). 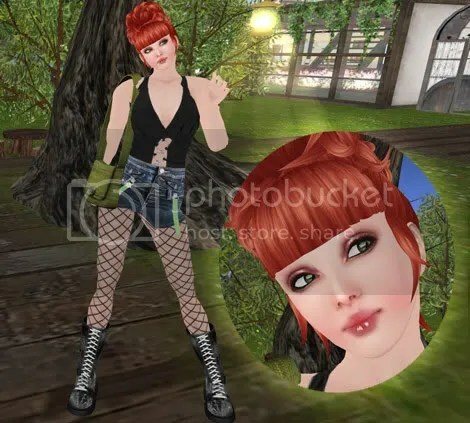 They also have tons of free poses, if you don’t have them yet. The first set, consisting of top, scarf and pants costs 2 L$. And the spring dress here costs 5L$. Both offers are limited. The Fabulous Fashion TV Studio has new designer gifts for men ! You can get this very nice suit from SARTORIA and a shirt with tie and silk scarf from SF Designs, I am wearing the scarf with the suit.